On June 17 I did an article about why I believe stories can make a difference. Today I have another, but first look ahead to this Wednesday, July 12. I hope you, too, realize the importance of supporting the laws for net neutrality passed in 2015 and now under attack. I try to avoid controversy here. 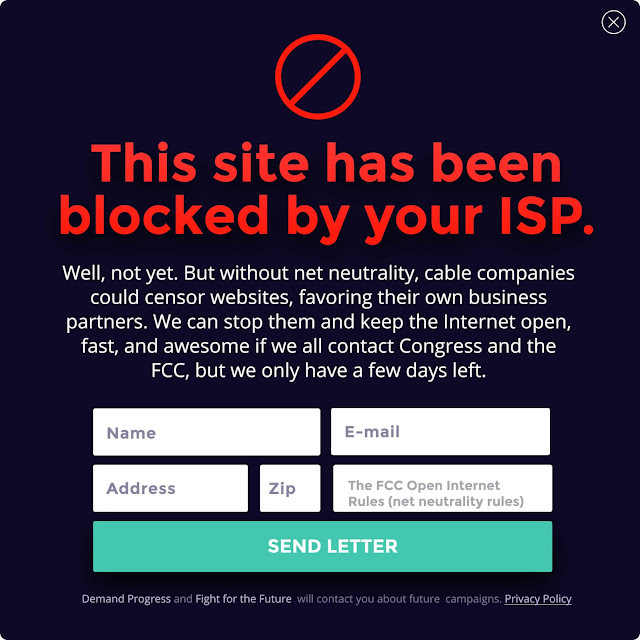 It's not my purpose, so here's a Wikipedia article on Net Neutrality that's both international and gives both sides of the topic. I'm sure you can easily find more by searching, using the term. Some will date back to right before its passage when it was first explained, like this Business Insider/Tech Insider article about Net Neutrality for Dummies and How It Effects You. We stuck together then like another famous story, David and Goliath, and surprised everyone by winning. Goliath, in this case the big cable and cell phone companies, is trying to get back up. LET'S WORK TOGETHER AGAIN! The internet, with all it's flaws, still can help us Build a Better World and today I want to feature a story from Toledo...no, not the Toledo right below the Michigan mitten, but its namesake in Toledo, Spain. It's a legend many discover as they enter this famous old city. 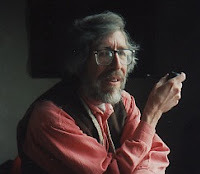 I've found photos and another retelling on the internet, but want to give you the story as I first discovered it told by Richard Marsh. He's a former Michigander, now living in Ireland, who loves to winter in Spain, but wherever he goes he's always a Storyteller. I've enjoyed hearing him -- never enough times! -- and he also writes books you can still obtain. This is from Spanish and Basque Legends (that link also lets you click on a 15 minute Talk Radio Europe interview about the book. The story comes with Richard's permission (but please remember it is his copyrighted version and contact him first if you wish to use it). You may do that using this email address: Richard at RichardMarsh dot ie -- that address omits the @ symbol and the final ".ie" for Ireland to end his address. You certainly may use that also to buy his books or CDs. Here's his website: http://www.richardmarsh.ie/ . The figure of a woman can be seen carved in stone in a niche over the keystone of the central arch of the Bridge of San Martín at Toledo. This story tells why she is so honoured. A bridge near this spot was destroyed by flood in 1203 and immediately replaced. That bridge in turn was deliberately destroyed in the 1360s for strategic reasons during a battle for the kingship between the half-brothers Pedro I the Cruel and Don Enrique de Trastámara. 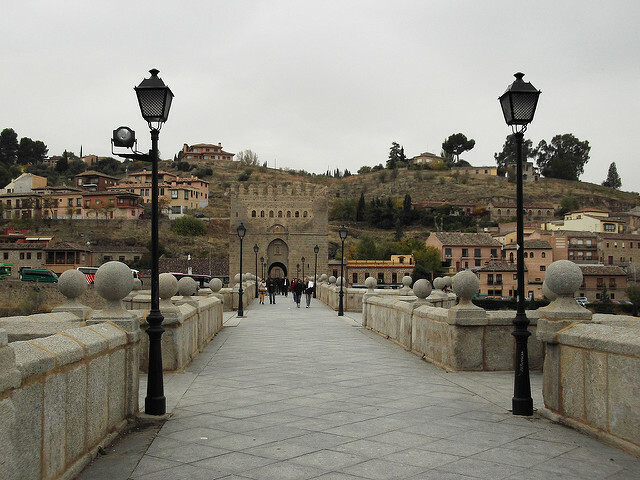 The present bridge, a jewel of medieval architecture restored in the 17th and 18th centuries, was built in 1390 at the order of the Archbishop of Toledo, Don Pedro Tenorio. The archbishop hired one of the most renowned architect-engineers of that time, whose name is not recorded. The work commenced, and the people of Toledo and the archbishop watched the progress of the bridge with satisfaction. Soon, the magnificent central arch, rising to 27 metres with a 40-metre span, was completed, and it was obvious that it would be only a matter of days before the scaffolding that supported the stonework could be removed. One night, however, the engineer seemed unusually quiet and preoccupied when he came home from the day’s work. He refused to answer his wife’s questions, and after his supper he left the house without telling her where he was going. He went to the bridge, where he descended a ladder and inspected the foundations of the central arch. He arrived back home pale and disturbed. His wife pressed him again for an explanation, and he hesitantly told her what the problem was. He had unaccountably made a serious error in his calculations. He could see now that as soon as the scaffolding was taken down, the central arch would collapse, killing any workmen in the vicinity. He would be responsible for the deaths of the workers if he said nothing. If he admitted his error and dismantled the bridge, his reputation would be destroyed, and no one would ever employ him as an engineer again. What was he to do? Of course, he couldn’t let the men die, but what would he say to the archbishop? How could he explain why the bridge had to be torn down and rebuilt from scratch, when the archbishop had been impatiently urging him to complete the work as soon as possible? No matter what he did he would be ruined. He covered his face with his hands and wept bitterly. His wife was a brave and clever woman, and she immediately saw that there was only one solution. She also knew that she had little time to do what had to be done. She waited only a moment until she could see that her husband had fallen into a troubled sleep, exhausted by his worries. Then she took a torch and went out. The night was dark and stormy, and she passed through the deserted streets unnoticed. As the rain began to fall more heavily, she was afraid that her torch might be extinguished, and that would be fatal to her plans. She arrived at the bridge and walked trembling to the central arch, then she threw the burning torch into the complex arrangement of wooden posts and poles and ropes that made up the scaffolding. The torch sputtered briefly in the rain, but soon the flames took hold and, fanned by the wind, rose quickly. Her task accomplished, the engineer’s wife ran home. As the engineer had rightly calculated, as soon as the scaffolding burned away there was a tremendous crash of what the Toledans naturally took to be thunder. But it was the falling of the central arch of the bridge. The following morning, the archbishop and the people of Toledo surveyed the damage. Seeing the burnt scaffolding, they quite understandably attributed the disaster to a bolt of lightning during the storm. The archbishop ordered the engineer to recommence the construction of the bridge, which he did with a contented mind and a heart full of gratitude to his wife. However, the woman was troubled with feelings of guilt. On the day the bridge was dedicated and officially opened, she requested an audience with the archbishop. Fully expecting to be punished or at least scolded, she admitted that she had destroyed the bridge and explained her reason. But the archbishop, instead of castigating her, praised her cleverness and courage in saving countless lives and the reputation of her husband. And he ordered a stone carved with the figure of a woman to be placed on the bridge to commemorate her deed. You can't see the carving from the bridge itself, and from a distance it appears very worn and indistinct. Some skeptics say it is not of a woman at all, but of the archbishop who commissioned the bridge. If you think about it, this story fits the idea perfectly about Building a Better World in thinking about Character Education or Values through storytelling. Yes, it's a legend, but it makes the ideas of Honesty, Responsibility, Respect, and Courage memorable. I consider it among three tales covering the basics to Build A Better World. It not only covers the idea of building, it goes well with the story of "The Gift of Insults" given in my June 17 article (and correctly attributed as a gift of story by Brazilian novelist, Paulo Coelho, and so it should never be given anonymously). I like to follow "The Gift of Insults" with an interesting practice followed by the Babemba tribe in Africa to reestablish within their community someone who has acted irresponsibly or unjustly. In the case of the bridge builder for San Martín the legend finds an unusual way of coping with the need for Honesty, Responsibility, Respect, and Courage, but doesn't escape its need to act with those attributes. Going back to his book, Spanish and Basque Legends, Richard includes 16 pages of color inserts to accompany the many stories, but admits he still didn't have enough space for all the pictures he wanted to include. In a "Rest of the Story", I want to say the bridge crosses the Tagus River, is definitely medieval -- some say the 14th century, while others attribute it to the reign of Alfonso X the Wise (the towers at each end came later were part of later renovations), and in 1921 was declared a National Monument. Here are some pictures of the bridge you may enjoy. When Richard was contemplating how he wanted to tell the story he tried to stay faithful to the legendary sources. While I was looking further, I found on Tony and Helen Page's TravelSignposts she fleshed out the story. 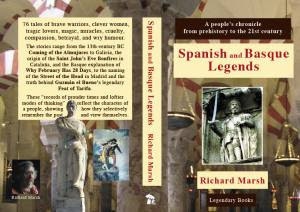 Helen adds a wonderful and appropriate subtitle "The Legend of Puente de San Martin – How One Woman Saved Her Husband from Disgrace." Once all the scaffolding were removed, the central arch of the bridge would not be strong enough to support the weight of the cartloads of stone being brought in for the construction of the Toledo Cathedral. Wikipedia omits the legend, but does mention its five arches, with the largest in the middle reaching an impressive span length of 40 meters -- that's slightly over 131 feet for those of us who are metrically impaired -- and very few bridges in the world had reached that mark until then. Yes, I know that's only two of the three stories I mentioned earlier are the foundation for my program to Build a Better World. I like to involve the audience and, since many of my audiences are mixed ages, I often tell in voice and sign, especially to open a program, teaching some signs along the way. A Haitian tale about a girl with the melodious name of Tippingee (I mention the concept of Name Signs as there's no time to fingerspell such a name) is perfect and one of many exceptional stories found in the book, The Magic Orange Tree and Other Haitian Folktales. I stay true to the story's folk roots, but YouTube has a delightful video of the late folklorist and author of the book, Diane Wolkstein, telling the story to fifth graders at PS242 in Harlem along with a mention of her website, DianeWolkstein.com still maintained by her sister, Megan. The story brings in the "building blocks" of Cooperation, Creative Thinking, and yet again Courage. 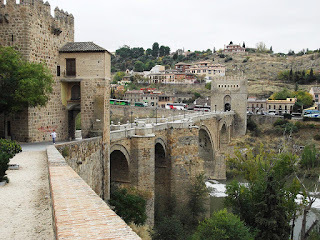 Whether you are able to cross that bridge in Toledo, Spain, or one in Toledo, Ohio, or some other bridge near you, may it be safe and help you Build a Better World.